Public Health England has unveiled its New Year Change4Life campaign, which this year focuses on getting consumers to swap fatty or sugary foods for healthier alternatives. Those who sign up to the ‘Smart Swap’ campaign will be able to access £840,000-worth of money-off vouchers for healthier products provided by brands such as Unilever’s Flora Light, Pepsi Max and Robinsons. In addition, there are a number of in-store offers from partner retailers such as Asda, Co-operative Food, Lidl and Aldi. Those signing up will also receive a free Smart Swapper pack of healthier meal ideas and fridge magnet. In addition, a free ‘Smart Recipes’ app can be downloaded from iTunes and GooglePlay. Fizzy drinks, cheese, butter, sugary cereal and milk have been chosen as the focus areas for the drive. 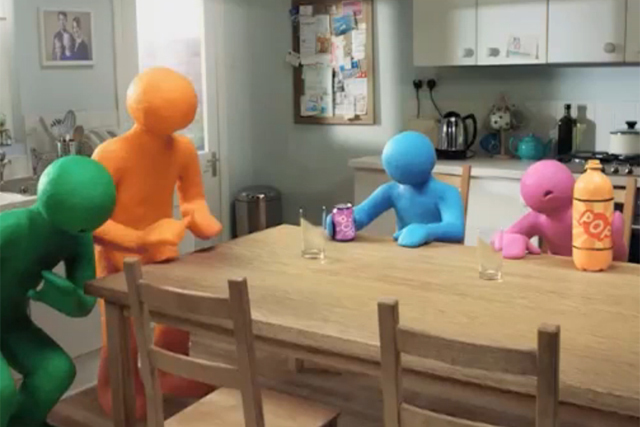 Featuring the now familiar Aardman-created Plasticine family, a 40-second TV spot highlights that there are 52 sugar cubes in a two-litre bottle of fizzy drink. Ten-second executions on butter and cheese, plus another ad serving as a generic call to action, will also run. The campaign, created by M&C Saatchi, encompasses radio and online as well. Sheila Mitchell, the marketing director of Government health body Public Health England, said the campaign was driven by two insights – consumers’ limited shopping habits and people's reluctance to make radical changes to their diets. She said: "We’ve been working with Kantar Worldwide to look at shopper behaviour and there’s an interesting fact that’s come out, that people have a relatively small shopping pattern. On average, most of us buy 300 products out of a range of 30,000. "The other part of it is the behavioural insight that it is much easier for us to get people to swap within categories. It’s too much of a step to say ‘don’t eat chocolate, replace it with fruit’. It’s a more achievable step to say ‘if you’re going out to buy X, then buy the healthier or the lower-cal variant’."